Experimenting with the Star Fox series is something Nintendo has seemingly always tried to do to varying degrees of success. Star Fox Command is what I consider the weakest experiment, despite having some really intuitive touch based controls. 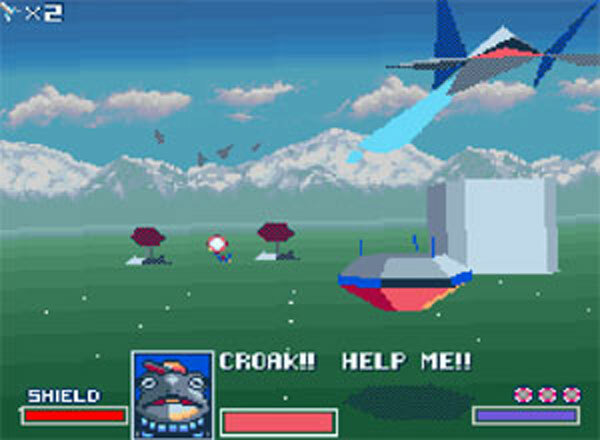 The mission design has players plotting a course on a map, making sure to engage with the enemy and missiles before either can reach the Great Fox. When actually engaging the enemy, Star Fox Command enters all-range mode, requiring shooting down specific targets. What this all amounts to is a very repetitive Star Fox experience that is greatly missing the on-rails action that so many fans of the franchise adore. And don't even get me started on the soap opera and fan fiction-like story of Command! (Is this a Star Fox game or an episode of Star Fox 90210?!) Yikes! If you're familiar with the development history of Star Fox Adventures, then you not only know that it was the last Rare-developed game for a Nintendo console before the developer's buyout by Microsoft, but it was also never intended to be a Star Fox game to begin with until some Shigeru Miyamoto meddling. That said, this Zelda-inspired adventure with Fox McCloud and new pal Tricky the Triceratops may have too much item collecting, but the actual game isn't bad by any stretch of the imagination. 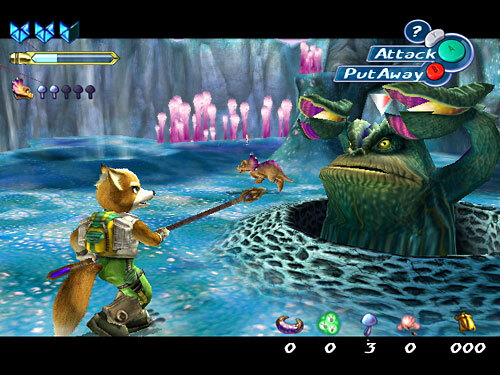 Sure, some of the trials in the game are a tad annoying, and the showdown with the supposed big bad of the game, General Scales, ends on a whimper instead of a bang, but Star Fox Adventures has interesting world design, fun puzzles to solve, engaging combat, and still looks phenomenal to me in the graphics department. Who knows if a better game would have been made if the Star Fox franchise had not been added to it like Rare originally envisioned, but what GameCube owners got regardless was an inventive expedition of the Dinosaur Planet. Perhaps it's my not playing the original Star Fox when it initially released despite being of age to play it back in the day that places Star Fox at the number four position on this edition of Rank Up. Then again, it might also be the incredibly dated visuals and horrid frame-rate of the game that lowers my opinion of it. Still, the original Star Fox is a blisteringly awesome corridor shooter that kicked off this famed franchise in a fantastic way. With three difficulties which spanned across numerous areas and planets-- hard being immensely tough even for a seasoned player like myself (or maybe I'm not as seasoned as I think I am!) -- Star Fox delivers exciting gameplay, a stiff challenge, and lots of nostalgia for gamers of the early 90's. The visuals themselves use the Super FX chip of the Super Nintendo, as most fans are probably already very aware of, offering technological effects that seemed impossible for Nintendo's second home console. At the time, they blew players away, and to this day, though as I said, dated, they remain serviceable. 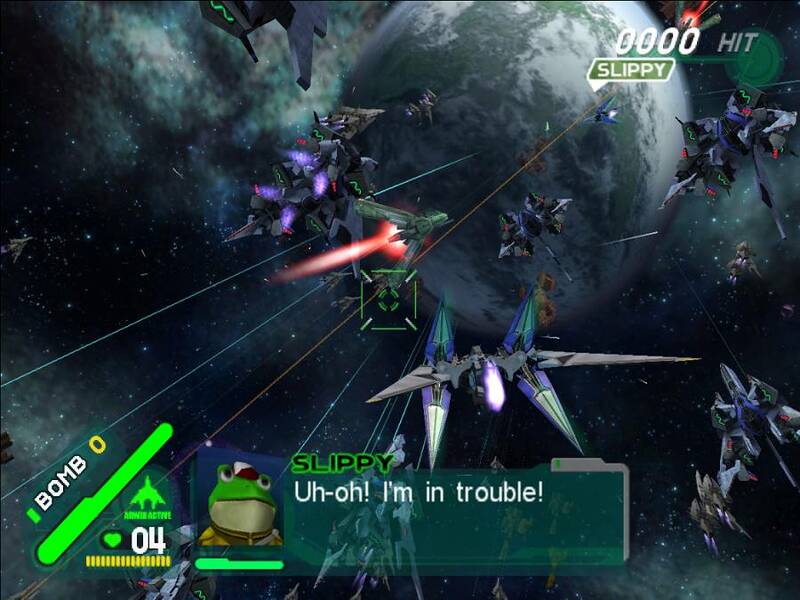 After Star Fox Adventures teased players with its few Arwing sections, many Star Fox fans waited with bated breath for the next installment of the series to return more closely to its roots. While Star Fox Assault doesn't completely do that, it does offer intense dogfighting action, added gameplay mechanics and types, and delivers my personal favorite soundtrack of the franchise, played in mostly glorious orchestral sound. Assault not only possesses some fabulous Arwing on-rails action, but it adds on-foot gameplay as well. Depending who you talk to, this is either great or a detriment to the game. For me, I enjoyed moving quickly through levels with Fox's fleet feet, blasting away at foes while keeping my combo amount higher and higher to earn high scores. 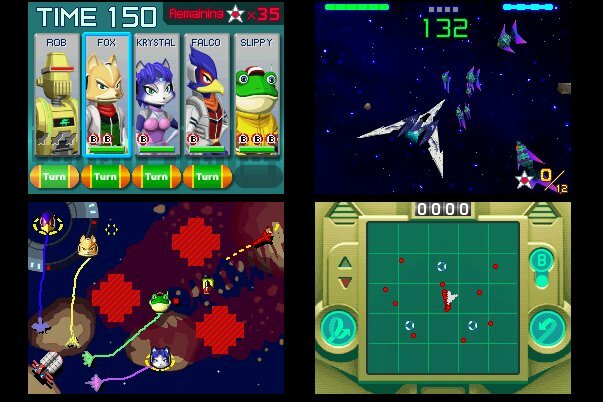 In addition to the fun single-player campaign, Star Fox Assault contains what I consider the best multiplayer the series has ever seen, allowing up to four players to fly, ride, and blast one another to oblivion through a myriad of well designed maps. My only wish is that the amount of customization and action available in Assault's multiplayer somehow returns to the franchise in a later game. The most polarizing Star Fox game in existence-- at least in my opinion-- is Star Fox Zero. For me, Zero offers the most immersive experience of flying one of the Star Fox series's many vehicles ever seen in a Star Fox game. The ability to use the GamePad to aim at foes while looking at a completely different direction allows for getting high scores and taking down targets that would otherwise be impossible with any other control scheme. 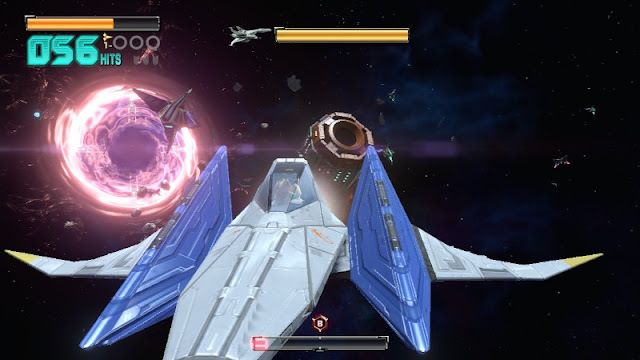 Some of my favorite Star Fox missions comes from Star Fox Zero, including an intense dogfight in space in Sector Alpha, where a multitude of space fighters and ships threaten Corneria's forces, and Fox needs to infiltrate the armada's leading ship's shield in order to take it down. The two screen approach offers so much that couldn't be done with a standard controller, but the caveat here is that this control and dual screened system is most definitely not for everyone. While some like myself were able to adapt, many were unable to, unfortunately. Still, Star Fox Zero remains one of my favorite Star Fox games, and if you want further analysis on it, check out SuperPhillip Central's in-depth review. Not the most original pick for the best Star Fox game, but I was resigned to choose Star Fox 64 if only for its impact on the Star Fox franchise-- and just being an absolute blast to play. Star Fox 64 still remains my favorite in the franchise, offering seven levels to play in each play-through, and each run through the game can be a different experience depending on which of the 15+ paths you take from the starting planet Corneria to the evil Andross's home world Venom. Star Fox 64 is pure action all the time, focusing on both popular and exciting on-rails corridor action and the dogfighting fun of all-range mode. The game is also a meme lover's dream with so many quotes that are etched in the memories of players. Practically any quote can be said from the game and still brings back nice nostalgic thoughts of the game. 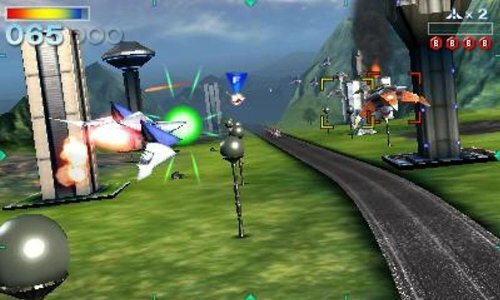 The Nintendo 3DS remaster of the game, Star Fox 64 3D, brings the space drama to the small screen with gorgeous stereoscopic 3D visuals, redone music and voice acting, and some bonus features. Whichever version you decide to play (I prefer the former due to awesome rumble feature, which is still so dynamic and amazing in present day), Star Fox 64 will continue to make you feel like an ace pilot.